We have over 10 year's experience in the Property software industry. We can import and export portal feeds from and to your website. If you’re setting up your own portal feed, or are looking to display properties on your website from a third-party, an automated BLM feed is the most popular and widely supported option available. Setting this up is easy and can be completed in just a few days. Regardless of how your site is built or structured, we’ll import the properties to match your setup, meaning you don’t have to change your website at all. 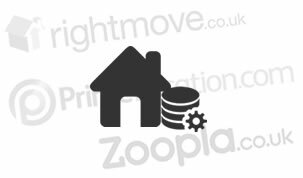 If you’re an estate agent looking to send your properties to property portals such as Rightmove, Zoopla or PrimeLocation, we can automate this process meaning you don’t have to manually upload your stock to each of the sites. Our BLM export runs in the background meaning you never have to get involved. We’ll simply take the same properties that appear on your website and send them to all the portals automatically, meaning you have time to focus on other important matters.